See TheAutomatedstore.com for a visual representation of Ruby on Rails. You can also download a high-resolution image of that chart. 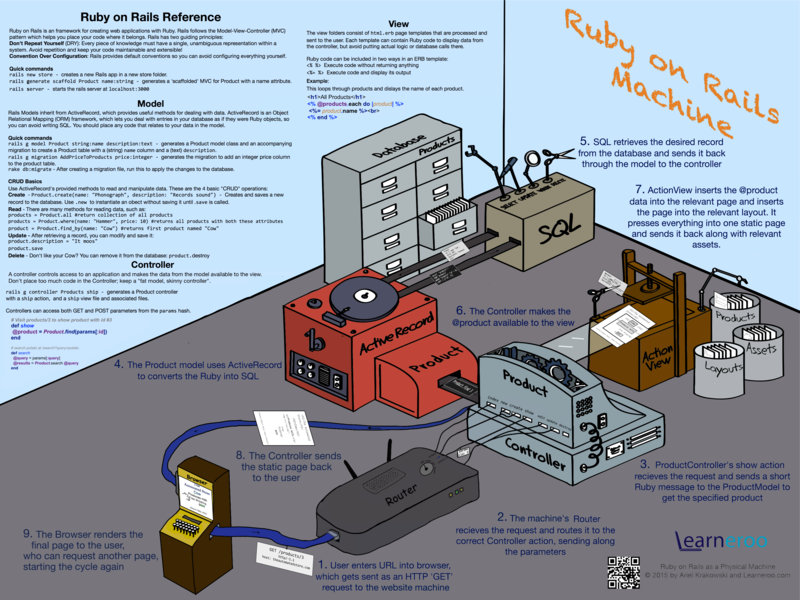 The video below provides a quick walk through of the Ruby on Rails machine.